1) Download android-x86-4.4-RC1.iso from project site here. 2) Make sure you have the latest VirtualBox and updated extension pack. 3) Create a new virtual machine, OS type is Linux and version is Linux 2.6 as shown below. Better to have enough RAM, I configured 1024 MB. Configure the virtual VDI hard disk in next screen. 4) Attach the downloaded Android 4.4 ISO to virtual machine’s CD/DVD drive. 5) Other installation steps are very similar to our earlier guide about Jelly bean on PC, follow the steps from Step 5 to Step 10 from previous guide. 6) Once the KitKat Android has been successfully installed on the Windows PC, remove the ISO from CD/DVD drive of virtual machine and restart the VM. That should take you to initial configuration screens. 7) You must disable the mouse integration on virtual machine, so the proper cursor will appear inside KitKat virtual machine to use easily. To release the mouse pointer (cursor) back to host Windows computer, simply press right ‘Ctrl’ key on keyboard. 8.) 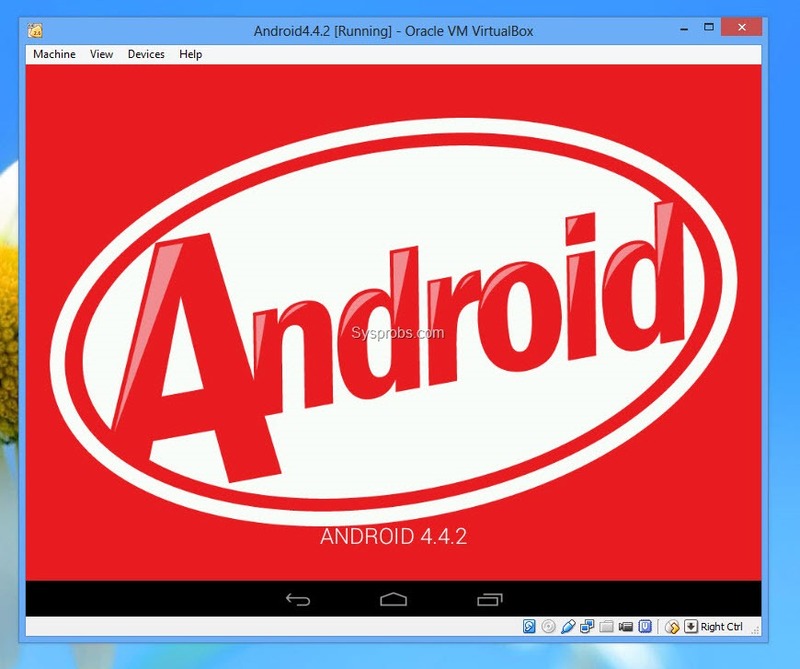 After the initial configuration, you can experience the Android 4.4.4 on Windows PC with VirtualBox. Here is the home screen. Another proof, honestly the graphics performance is not bad at all. Its really fun to run the latest phone/tablet Android OS on your Windows computer. I’m sure this would be a good way to experience the latest Android OS on your PC, share your experience. 0 Response to "Step By Step Install Andorid With Virtualbox"